• Several studies backed by multinational food and sugar companies have claimed sugar isn't that bad for us. • These studies incorrectly suggested that eating fat is responsible for weight gain and obesity instead. • New research is revealing how these studies were bankrolled by the sugar industry. Several recent studies backed by multinational food and sugar companies claimed that sugar isn't so bad for us after all. Don't believe them. A growing body of evidence has revealed how industry groups have worked to suppress the scientific findings on the harmful effects of sugar for decades — either by promoting studies that downplay its negative effects or suppressing studies that reveal its harms. A New York Times investigation published in 2016 revealed that the authors of a 2017 study that sought to discredit dietary guidelines aimed at curbing people's sugar intake had strong ties to the sugar industry. One of them sat on the scientific advisory board of Tate & Lyle, a leading global supplier of high-fructose corn syrup. 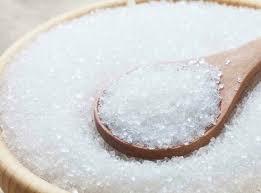 Now a review published in the journal PLOS Biology details how two other studies, funded by an American trade group called the Sugar Research Foundation, were suppressed when they did not come to the conclusions that the industry intended. For those studies, conducted in the 1960s, researchers found that rats fed high-sugar diets were at greater risk for strokes, heart attacks, and heart disease. They also had higher-than-normal levels of fat (triglycerides) in their blood. But the research was never published. Around the same time that those studies were suppressed, the same industry trade group paid three Harvard scientists the equivalent of today's average annual income to publish a review of heart health studies that made sugar look less unhealthy than it is — and to paint fat as the villain instead. These studies seized on the idea that eating fat in our diets makes us fat — which study after study has debunked. The sugar in our diets appears to be far worse for us than the fat. "There is one thing we know about fats," Aaron Carroll, a professor of pediatrics at the Indiana University School of Medicine, wrote in his new book, "The Bad Food Bible: How and Why to Eat Sinfully." "Fat consumption does not cause weight gain," Carroll said. "To the contrary, it might actually help us shed a few pounds." Several other recent studies of people on low-fat eating plans have shown similar results. An eight-year trial involving almost 50,000 women put roughly half of them on a low-fat diet and found that those women didn't see any decrease in their risk of breast cancer, colorectal cancer, or heart disease. Plus, they didn't lose much weight, if any. "Bottom line? The evidence in favor of a low-fat diet is very thin, whereas the evidence for the benefits of certain fats is mounting," Carroll said. I, too, once bought into the anti-fat frenzy. I grew up in California with health-conscious parents and our kitchen was stocked with low-fat, high-carb products. Our fridge always had margarine, not butter; low-fat products (rather than low-sugar or no-sugar-added ones) ruled our pantry. But the good news is that we're all finally uncovering the truth. More people now understand that cutting out fat won't help us lose weight — and doesn't slash our risk of heart disease. Excess sugar, on the other hand (especially in the form of soda) has been linked with dozens of negative outcomes, including weight gain and obesity. A systematic review of 50 years of studies published in the American Society for Clinical Nutrition in 2006 found a link between the amount of sugar-sweetened beverages people consumed and weight gain and obesity. "The science base linking the consumption of sugar-sweetened beverages to the risk of chronic diseases is clear," the authors wrote. Bottom line? Eat less sugar; eat more fat.